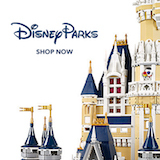 Prices Up, Incentives Down - DVCNews.com - The essential Disney Vacation Club resource! Buyers in the market for Disney Vacation Club points were recently hit by a double whammy in the form of higher prices and a decrease in promotional incentives. Meanwhile the promotion's end date may foreshadow the sales start date for Disney's Riviera Resort. In mid January, Disney Vacation Club raised the base price for Copper Creek Villas & Cabins and Aulani, Disney Vacation Club Villas from $182 to $188 per point. Meanwhile the latest wave of incentives offer smaller discounts than a fall 2018 promotion which allowed buyers to choose from a substantial Developer Credit or "free" points over the life of the contract. The same rates and incentives rates currently apply to both Copper Creek and Aulani points. The new incentives do seem to place a higher priority on larger point purchases. At 150 points, existing members save about $8.33 per point on a 150 point purchase. However, adding just 25 additional points nearly doubles the discount to $14.28 per point. New buyers see their credit more than double from $5 per point at 150 to $11.43 per point at 175. Other incentive levels are available at both resorts. The Developer Credit is deducted from the balance when calculating the total payoff or amount of the purchase to be financed. The current base price is $188 per point. Down payment of 10-20% of the sale price, before credits, is required. The incentives have a published end date of February 28, 2019. These offers are subject to modifications at any time. For complete details, contact a Disney Vacation Club salesperson. The newest Disney Vacation Club destination, Disney's Riviera Resort, is scheduled to open in the fall of 2019. It is possible that the February 28 ending of this promotion is designed to lead into a March sales kick-off for Riviera. Whether or not it happens on March 1st, it is a certainty that we are mere weeks away from the sales launch of DVC's fiftheenth timeshare property.